Yoga, an ancient practice and meditation, has become increasingly popular in today’s busy society. For many people, yoga provides a retreat from their chaotic and busy lives. This is true whether you’re practicing yoga in your bedroom or at a yoga studio in Manhattan. Yoga provides many mental and physical benefits and can become a way of life that will benefit your health. Yoga develops inner awareness. It focuses your attention on your body’s abilities at the present moment. It helps develop breath and strength of mind and body. It’s not about physical appearance. Yoga studios typically don’t have mirrors. This is so people can focus their awareness inward rather than how a pose – or the people around them – looks. Surveys have found that those who practiced yoga were more aware of their bodies than people who didn’t practice yoga. They were also more satisfied with and less critical of their bodies. For these reasons, yoga has become an integral part in the treatment of eating disorders and programs that promote positive body image and self-esteem. 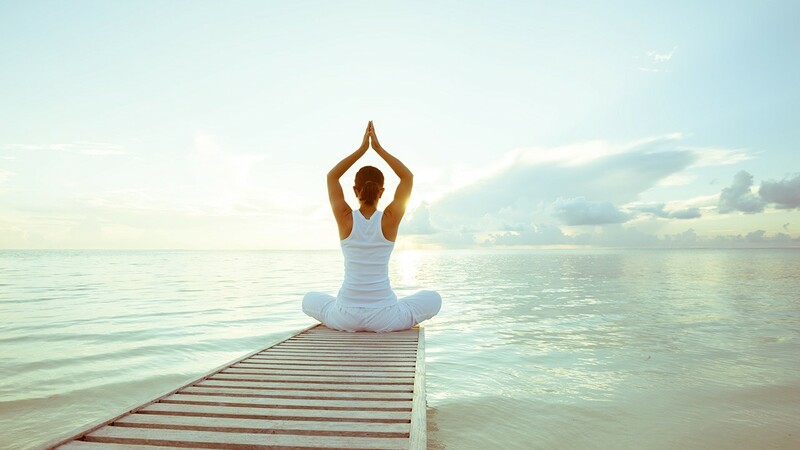 Here are some of the benefits of yoga and how you can get started with some easy steps. Researchers found that people who practice yoga are more mindful of what they eat. Practicing yoga helps you be more aware how your body feels and the nutrition it needs. You will have less cravings for fatty or sugary food and are reaching more for fruits, vegetables and the more healthy foods. You will find that you can better savor each bite or sip, and note how food smells, tastes and feels in you mouth. Researchers studied a small group of individuals who had not practiced yoga before. After eight weeks of practicing yoga at least twice a week for a total of 180 minutes, participants had greater muscle strength and endurance, flexibility and cardio-respiratory fitness. Several small studies have found yoga to have a positive effect on cardiovascular risk factors: It helped lower blood pressure in people who have hypertension. It’s likely that the yoga restores “baroreceptor sensitivity.” This helps the body to sense imbalances in blood pressure and maintain balance. Yoga may help bring calm and mindfulness to your busy life. You can find registered yoga teachers (RYT) and studios (RYS) through The Yoga Alliance or ask your health care provider to recommend a yoga practitioner near you.